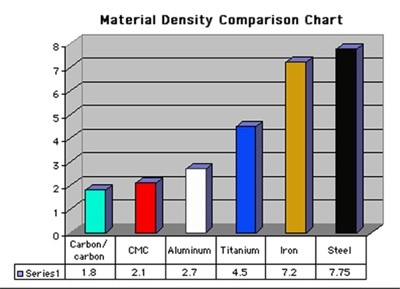 We are very pleased to report the successful conclusion in finalizing the development of the new Third Generation CMC material matrix (MK III). 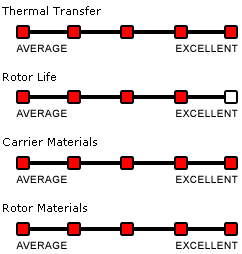 So although the AXIS/CMC composite rotors are yet not currently available, the focus has now shifted to the logistics of production manufacturing. As such, we cannot assign a hard release date as of yet. However, we can say with confidence we’ll see this amazing product coming back into stock relatively soon. The AXIS/CMC is without doubt the most sophisticated and technologically advanced aerospace derived brake system in existence, period. And although the move to commercial production employing the latest advancements in manufacturing technology has just begun, the extraordinarily high performance parameters combined with their ultra lightweight makes this incomparable aerospace product uniquely worth the wait! Finalized pricing on the MK III is not available at this time. 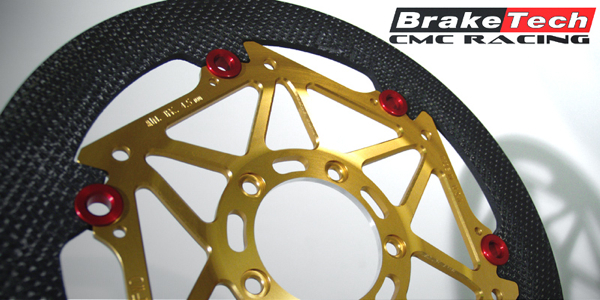 The patented AXIS/CMC™ by BrakeTech USA is the latest in ultra-advanced Ceramic Matrix Composite brake rotor technology for the Motorcycle Industry. As with our AXIS/Iron™ and AXIS/Cobra™ stainless steel brake rotors, all of the considerable braking forces are channeled through the trademarked Direct-Link™architecture, comprising over an 800% increase in surface area load transfer as compared to conventional floating brake rotors…simply far superior by design! Over ten years in development, the AXIS/CMC incorporates now de-classified Stealth Bomber Aircraft technology that takes high performance in an incredibly lightweight material design to an all-new level. 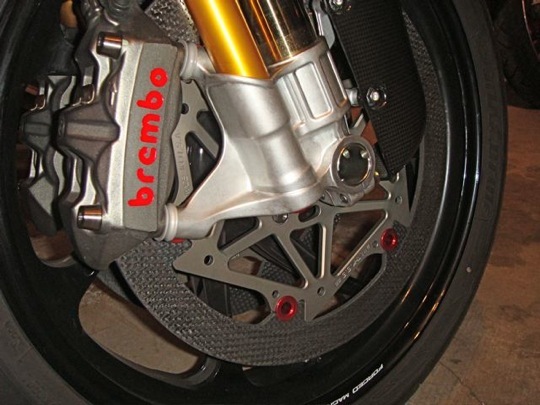 This revolutionary material will change the way both top-level race teams and enthusiasts alike view their braking systems. 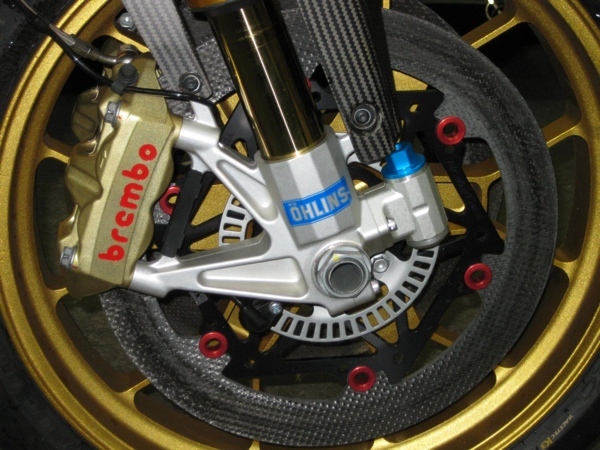 The performance parameters in-total make all previous materials and systems dated by comparison, including the vaunted Carbon/carbon brakes. 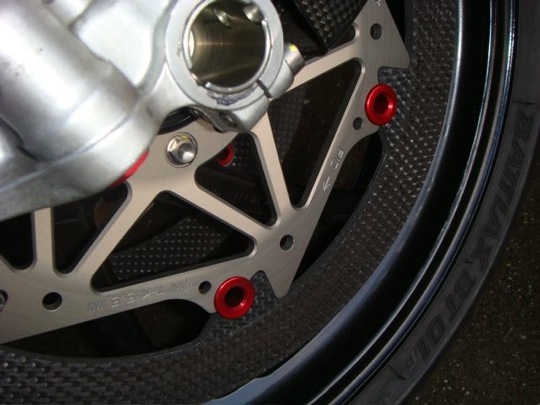 Designed to perform brilliantly with OE calipers as well as the Billet GP race-spec units. This unparalleled composite material offers the best features of premium iron rotors with the incredible lightweight of carbon, and none of the Carbon/carbon foibles! When considering the purchase of this advanced technology brake system, bear in mind, it’s not simply a braking improvement, but a whopping 65% reduction[average] of unsprung weight as well. That equates to a genuinely substantial handling improvement with the investment and creates a whole new avenue to reduce the moment of inertia steering input and improving overall handling with chassis-reactive dynamics that simply must be experienced – the reduction in gyroscopic forces is nothing short of amazing!!! Hot or cold, wet or dry, the AXIS/CMC™ full-floaters establish a new dimension in braking and handling performance without peer! To find out if this part fits your bike, please use our contact form, and we will get back with you asap!